If you are representing yourself in District Court, difference between “small” and “large” claims is perhaps the most important information you need to know about the legal process. Understanding these important differences will help you prepare and present your case in the District Court. A large claim is for any amount more than $5,000 but less than $30,000 (excluding interest, costs and attorneys fees, if any). Large claims may also include demands for orders protective order. Small claims are considered a “special proceeding.” This means that the district courts set aside a certain day or time for small claims cases. District courts may also set aside a certain location for the small claims docket if there is more than one District Court location in your area. For more information, call the court clerk. The District Court schedules large claim cases to be heard throughout the week during regular court hours. Court Rules of Evidence Small claims are handled in an informal manner. The formal rules of evidence do not apply. Maryland Rule 3-701(f) This means that non-attorneys will have an easier time in preparing and presenting small claims actions for trial. 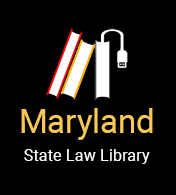 For additional assistance on how to prepare your case, more information can be found in the links below to other People’s Law Library Articles and on the District Court of Maryland’s website on small claims. You must follow the formal rules of evidence found in Maryland Rules Title 5. It is important that you read and understand these rules so that all of the testimony, documents, or other materials you need to prove your case are admitted as evidence during the trial. An attorney can help. Discovery “Discovery” is legal term that refers to ways in which one side can find out more information about the other side’s case. This might include interrogatories or depositions. If you lose in the District Court, and you have no agreement with the winning side about the record, your appeal to the Circuit Court is de novo, which means you must present your case all over again to the Circuit Court. Maryland Rule 7-102(a).